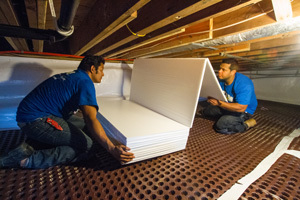 Crawl space insulation is important for your home's overall comfort and efficiency. 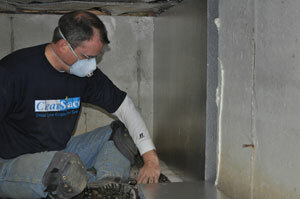 A number of comfort and energy problems are a result of inadequate or incorrect crawl space insulation. In addition to installing the right type and right amount of insulation, it is also important that the insulation be installed correctly. 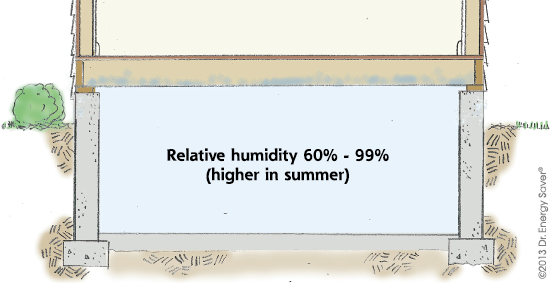 The crawl space can be wet and damp, so the insulation installed must be able to hold up in these conditions. 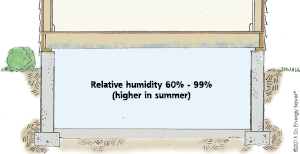 Additionally, the Regional Clean Crawl Space System can help convert your crawl space into a mold-free, healthier, cleaner and more energy efficient environment by blocking the extra moisture, critters and humidity from entering your crawl space. The Regional Clean Crawl Space Systems tough and extremely durable crawl space liner system includes a radiant heat barrier that resists, blocks and reflects heat energy to prevent its transfer into your home, making your temperatures more comfortable during the winter and summer months. Our vapor barrier system has a 25-Year Manufacturer's Warranty and includes an incredible 60-mil thick design to prevent rips and tears! The experts at Regional Energy Savers will inspect the crawl space, seal air leaks, and install high-performance insulation to help improve your home's comfort and energy efficiency. Call 1-855-410-0714 or contact us online to schedule Free Estimate for basement or crawl space insulation in Cary, Raleigh, Durham, and nearby including Fuquay Varina, Wake Forest, Holly Springs, Knightdale, Morrisville, and more. Regional Energy Savers is a trusted insulation company serving Central NC.